At its summer degree ceremonies starting this week, Loughborough University will confer honorary degrees upon eleven distinguished people in recognition of their outstanding contributions to industry, academia, business, sport, the arts and society. 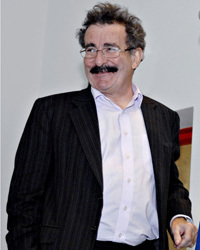 Among those receiving awards are the eminent scientist Professor Lord Robert Winston, cricket broadcaster Jonathan Agnew, and the Chief Executive Officer of the Thomas Cook Group Manny Fontenla-Novoa. For her outstanding contribution to literature and equality law reform. For his outstanding and sustained support of the Business School over a period in excess of 10 years. For his innovation and outstanding achievement in the world of finance and for outstanding philanthropy. For her outstanding contribution to promoting environmental awareness. For his outstanding contribution to Science. For her outstanding contributions to the leadership of engineering in a multi-national company. For his outstanding role in developing the Energy Strategy of Brunei. For his contribution to the field of Electrical Power Engineering and achievements as Vice-Chancellor of the University of Malaya. For his outstanding contribution to broadcasting and journalism, and to Leicestershire and England cricket. For her outstanding contribution to the delivery of world-leading digital information and library services for researchers, teachers and students in the UK and globally. For his contribution to education, scholarship, knowledge and research.